I found this fantastic book in our local Oxfam shop on Friday. It's a simple thing. Pictures of famous people jumping. This, for instance, is Capt Edward Steichen. 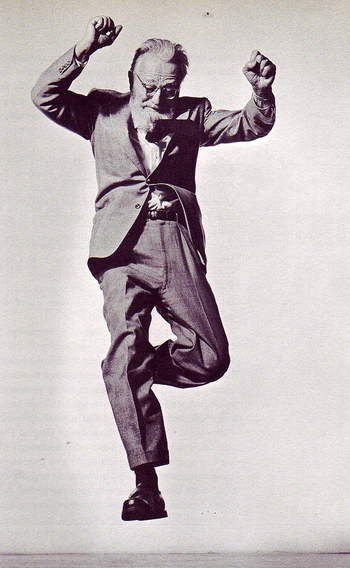 Don't you just love him, even if you've no idea who he is, seeing him jumping like this. 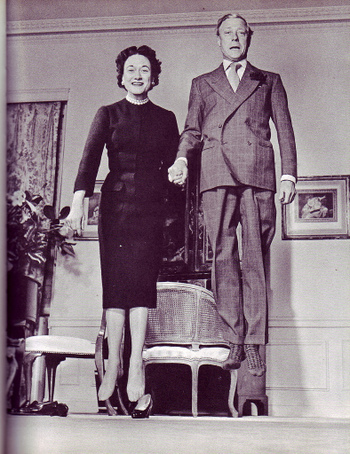 And here are our old friends The Duke And Duchess Of Windsor, jumping nicely. I suspect these pictures are so much better because everyone's dressed so formally. It wouldn't be so charming to see some modern celeb jumping up and down in their hoodie and trackies. Looks very like a modern flickr project though. I can imagine a series of webcelebs photographed like this. 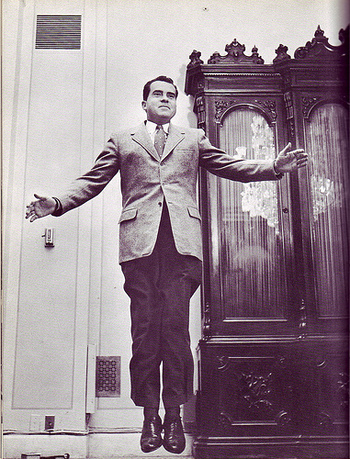 Even with everything you know about Nixon, doesn't this graceful little hop make you slightly inclined to vote for him (although that's unlikely to be possible)? And somehow you feel like this picture tells you something about Robert Oppenheimer's character, and might reveal something of the mind behind the Manhatten Project. I'm sure it doesn't really. It's just a man jumping. But look at that stretch, that energy. Although they're very posed, almost formal, you sense something candid and revealing in the jumping. Anyway. It's a good book. Keep an eye out in second-hand stores or have a look on alibris. I'm very jealous Russell, that's quite a thing. The Duke and Duchess jumped with such dignity, clearly in polite society, one daren't jump with ones shoes on. Not like those frightful savages in the Americas. What an amazing book. How on earth did he manage to get those VIPs to jump for him? I think there was an exhibition by a photographer who had repeated this project in the past couple of years. I've tried googling but found nada. It's a great idea, really takes down the guard that celebs have spent years building up! Thanks for posting pics. I love that book. 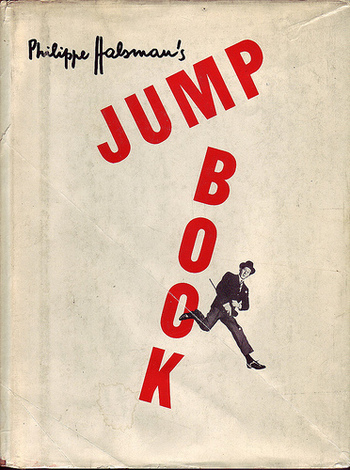 I think it's the one with John Steinbeck in it, looking gentlemanly whilst jumping. Is it the same one? I'm not sure Dan. Don't remember Steinbeck, but I'll have a look and let you know.